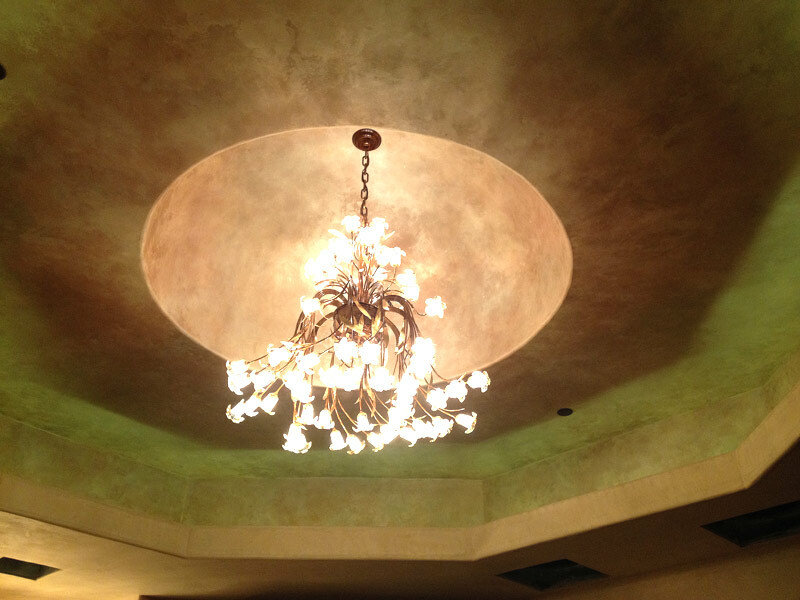 Custom home in Rancho Cielo Estates, CA. 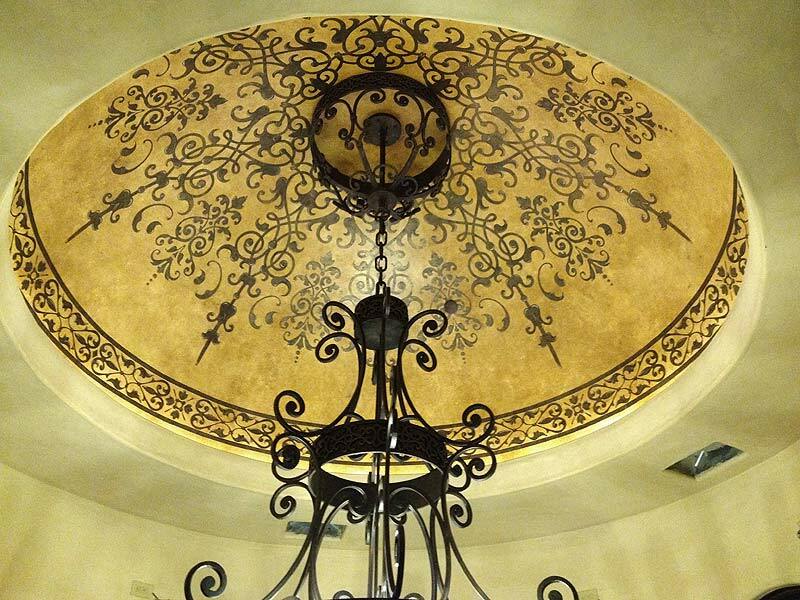 This breakfast nook dome was created with a Modello stencil. 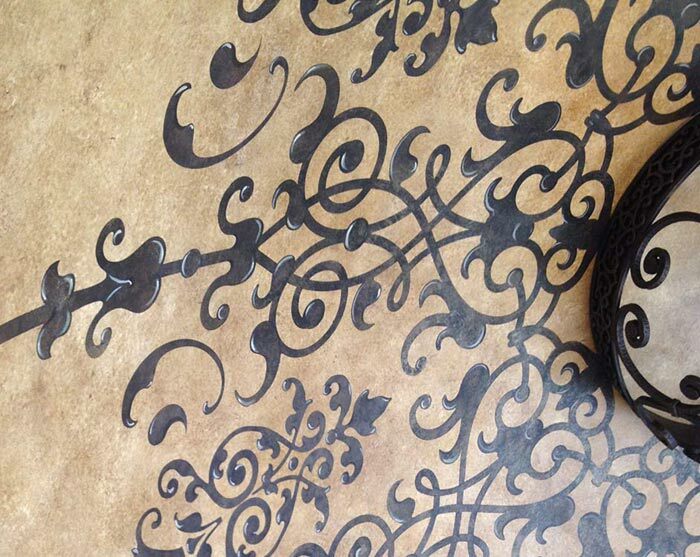 The original design was enhanced with a custom designed border and new design elements to fill the space. We also added highlights and shadows to create a 3 dimensional look. 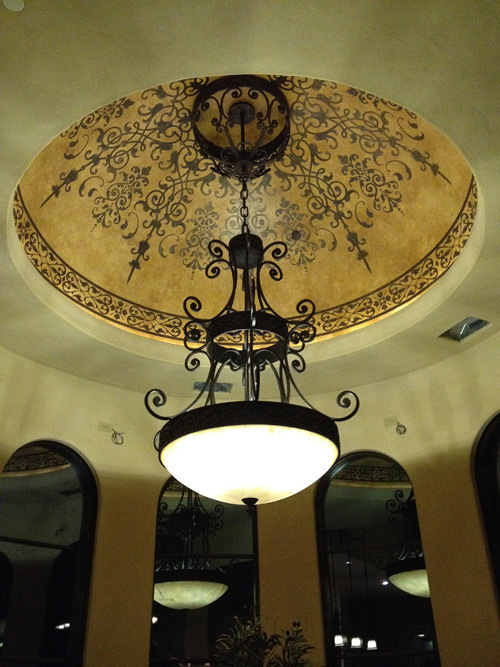 The master bathroom ceiling and dome was enhanced with a Luster Stone 4 color metallic plaster, creating a shimmering, luminous surface. 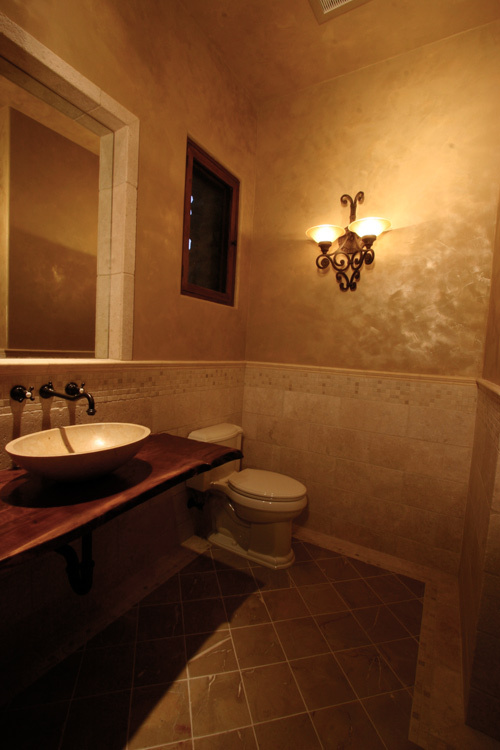 The powder bathroom walls have also been treated with a metallic plaster finish.